Tile roofs come in many styles, each with its own preferred applications and intrinsic beauty. But there’s more to them than what meets the eye: Learn about what else makes them so attractive to homeowners. 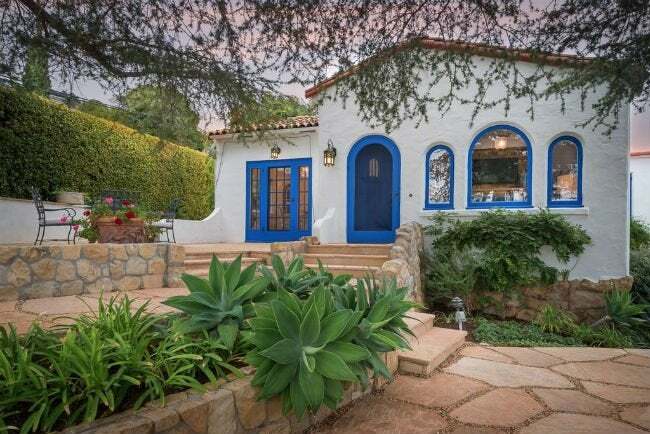 An exotic sense of romance is associated with tile roofs, which commonly appear on Southwest-style and Mediterranean-inspired homes. Whether made of fired clay, concrete, or slate, though, these individual tiles are good for more than looks. Get to know the selling points that make these materials such popular roofing options and weigh those strengths against key considerations to gauge whether or not your own home can benefit from an upgrade. Most often concrete and clay tiles often feature natural earth tones, a sand-cast or unglazed finish, and a classic curved shape, but their design isn’t limited to such Southwestern and Mediterranean hallmarks. In fact, their casting allows for many style options to suit almost any type of architecture. Both concrete and clay tiles come in a huge variety of colors and may be offered in glazed or unglazed finishes. The most common shapes include flat, fluted, and interlocking tiles that can be married to an array of home designs. Some tiles are constructed to mimic the look of wood shakes, for use on Craftsman, rustic, or log homes, while others are designed to emulate traditional European structures. Tiles of natural slate are often used to roof Victorian, colonial, and Tudor architecture but also looks at home on sleek contemporary abodes. Slate tiles impart the distinctive and desirable appearance of natural stone and carry many of the other advantages of clay and concrete tiles, including durability and longevity. Slate tiles are extremely popular in northern Europe and, in America, are often found on Victorian and Tudor style homes. Clay, concrete, and slate roofs are impervious to fire and resist rot, insects, and other pests. Most tile roofing can withstand extremes of heat and cold, making it suitable for use in virtually any climate, and clay is particularly resistant to the corrosion of salt air, making it a great choice for homes situated in coastal regions near an ocean. Many types of roofing tiles also boast superior impact resistance, making this a good option for regions that experience hail or high winds. Although most tile roofs are found in warm climates, they can be used in cold regions, too. When installing a clay or concrete tile roof in a cold climate, however, ask for products designed to handle freeze-thaw cycles. The biggest threat to tile roofs can be people: The tiles typically are not designed to handle foot traffic and are vulnerable to being broken or chipped by careless treatment. Therefore, it is important to hire an experienced professional to handle any repairs or maintenance on or around a tile roof, including cleaning the gutters, maintaining chimneys, and painting the exterior. A roof constructed of concrete, clay, or slate may be the last roof you will ever need. Clay or slate tiles may last more than 100 years, while most concrete tile comes with a 50-year warranty. Slate is one of the most durable and long-lasting roofing materials, with a lifespan of 100 to 150 years or more. 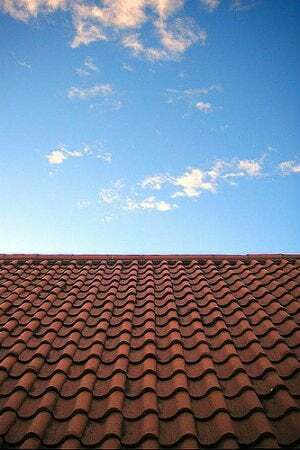 Tile roofs tend to be the most expensive upfront for both materials and labor; slate, for example, can range from $1,000 to $2,000 per square (a 10-foot-by-10-foot patch of roofing) installed and a roofing contractor who has experience working with the high-end material may also charge more. Over their long lifespan, however, concrete, clay, and slate tiles can offset their initial expense. Due to a high thermal mass, tiles do a better job of regulating the temperature of your home, thereby helping you cut down on heating and cooling bills. The durability and longevity of clay, concrete, and slate also mean that you save money by not replacing your roof multiple times over the decades. And, all of the materials used are environmentally friendly and can be easily recycled. Tile roofs are definitely not do-it-yourself projects! 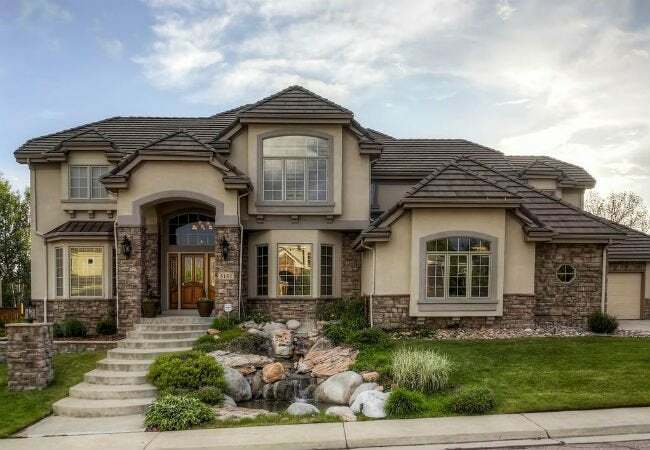 Concrete, clay, or slate tiles should only be installed by professional roofing contractors who are experienced in dealing with these materials and the precision they require during installation. The process involves selecting underlayment appropriate to the specific type of tile and measuring the roof and tiles before purchasing all of the supplies. Then, roof tiles must then be installed in a specific pattern in order to ensure that the tiles will stay in place and the roof will not leak. The pitch of your roof also is a concern, as concrete, clay and slate tiles cannot be used on roof pitches below 4:12. A structural engineer will also be able to identify whether your roof framing will support the weight of a tile roof in the first place. These materials are particularly heavy: While a typical asphalt installation weighs about 230 pounds per square, a tile roof can range anywhere from 580 to nearly 1,100 pounds per square. Installing clay, concrete, or slate on the roof also may entail spending more money on additional framing materials to strengthen the roof and allow it to support the added weight. And, installation of a tile roof typically takes longer than a traditional shingle roof, which can hike labor costs. Although tiles are extremely durable and will last for decades or centuries, the material under the tiles will need some maintenance, especially when using concrete tiles. The underlayment material will need to be replaced every eight to 20 years, which involves removing the tiles, replacing the underlayment, and then reinstalling the tiles. Unglazed tiles also have a tendency to absorb water over time, which can make them a growth medium for mildew, algae, or even moss. Glazed or ceramic finishes are virtually mildew-proof, so these are a better choice for areas that receive significant rainfall. In general, concrete roofing tiles absorb about double to amount of water that clay tiles absorb (13 percent versus 6 percent) and therefore are more susceptible to mildew, algae, and moss. Clay tiles are more colorfast than concrete. Clay tiles are also more durable. An installation of clay roof tiles can be expected to last 100 years. (The average lifespan of concrete roof tiles is about 50 years.) 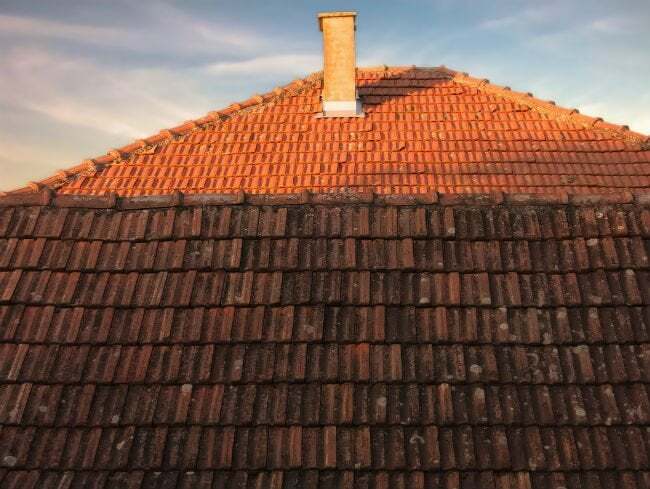 Because they wear so well over time, clay roof tiles add significantly to a home’s resale value.